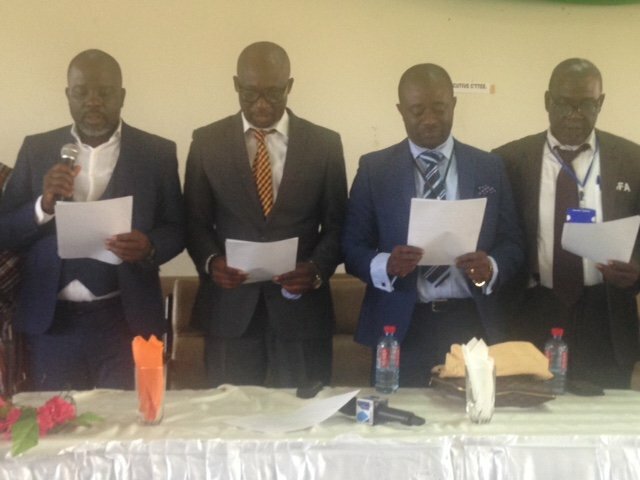 Owners of Ghana Premier League Clubs and the lower divisions are being forced to pass a vote of no confidence on the injuncted GFA Executive Commitee. 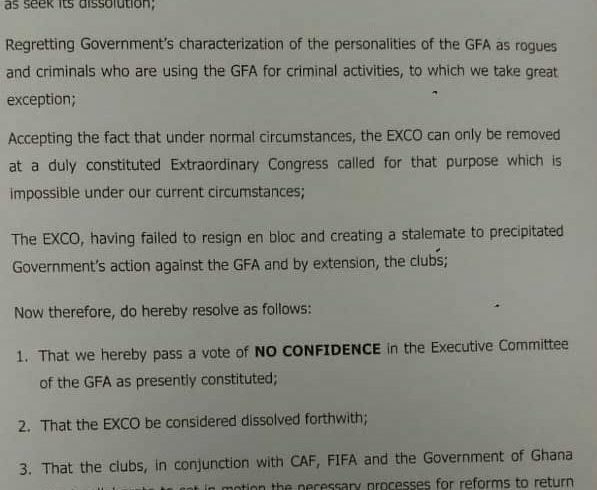 A document chanced on in the media, generated by an unknown group wants to get club owners to pass a vote of no confidence in the Ghana FA’s Executive Committee. Club owners are being encouraged to sign onto this document to force out the Executive Committee that is currently injuncted by an Accra High Court. Reports indicates of club administrators are said to be behind the document which is being circulated for club owners or accredited representatives to sign. For the documented to be effected, over half of the owners of clubs in Ghana have to vote in favour of the motion. 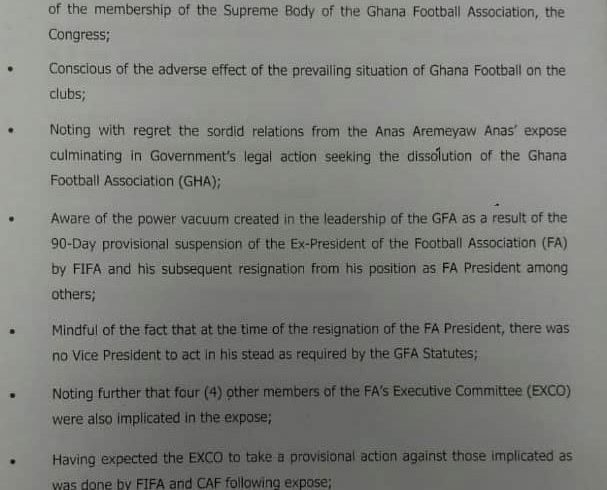 The GFA’s Executive Committee has been blamed by sections of the football fraternity for failing to ‘show leadership’ in the midst of the Anas expose – a documentary authored by Anas Aremeyaw Anas that reveals acts of alleged corruption in Ghana football. CAF has since handed several degrees of bans to the referees while some of the high ranking officials caught in the sting operation including Kwasi Nyantakyi have since resigned from their positions.